The U.S. Department of Justice announced Tuesday that it will not be filing federal civil rights charges against any of the Baltimore police officers involved in the death of Freddie Gray, who died while in police custody. The Associated Press reports that in a statement, the Justice Department said that while Gray’s death was “undeniably tragic,” federal prosecutors did not have enough evidence to prove that the officers willfully violated his civil rights. State prosecutors in Baltimore charged the officers after Gray, 25, suffered a broken neck while being transported in the back of a police van in April 2015. While Gray was handcuffed and shackled, officers neglected to restrain him with a seat belt. 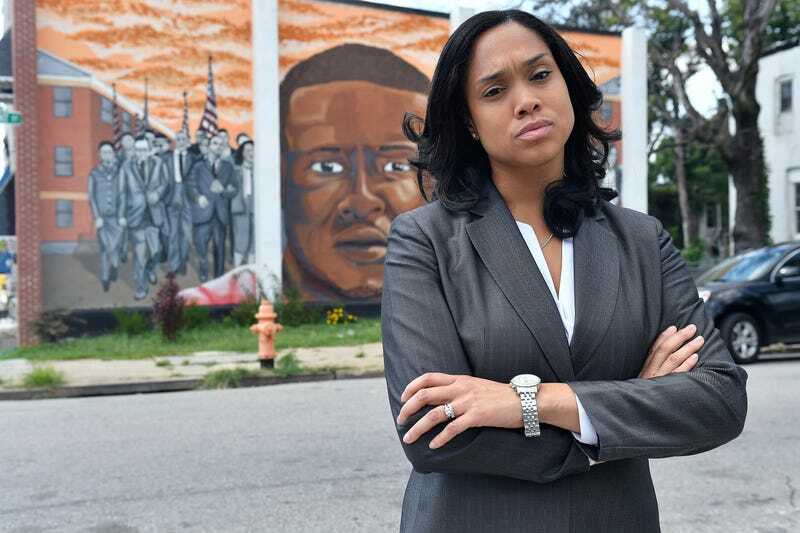 Three of the officers were acquitted in the state case, and Baltimore City State’s Attorney Marilyn Mosby dropped the cases against the remaining officers. According to AP, internal disciplinary hearings will begin Oct. 30 for five of the officers involved: Lt. Brian Rice, Sgt. Alicia White and Officers Caesar Goodson, Edward Nero and Garrett Miller. Officer William Porter, the sixth officer involved, does not face any administrative charges. Gray’s death while in custody prompted weeks of civil unrest and protests in the city of Baltimore. It also led to a Justice Department investigation into the Baltimore Police Department, the results of which revealed implicit racial bias and led to a consent decree agreement between the department and the DOJ. On Tuesday the Justice Department said that both its prosecutors as well as the FBI had devoted “significant time and resources” into investigating Gray’s death. “To the extent that the officers violated department policy in failing to seatbelt Gray, those failures suggest civil negligence rather than the high standard of deliberate indifference,” the department said in its statement. So, even though we know the Baltimore Police Department has been found to have discriminatory practices as well as widespread abuse and misconduct among its officers, we can’t get justice for Freddie Gray. Add to this the fact that the one person who tried to hold the officers accountable for doing their jobs, Mosby, is now herself under fire for daring to go after them for his death. We can’t get justice. We can’t get peace. But we have our fill of crooked police.